Go Bold With Tacos Featuring Bravado Spice Co. Hot Sauce! It’s Taco Tuesday once more and we figured why not share another taco recipe! Can you really ever have too many? 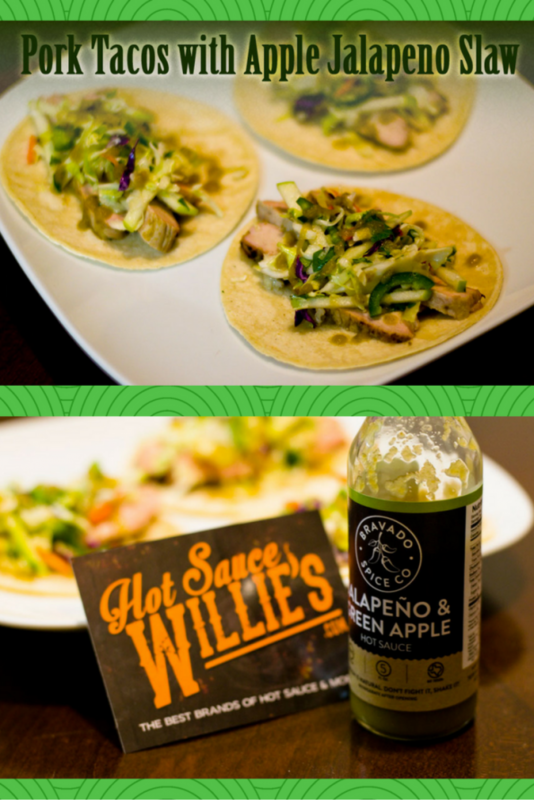 This time with a little help from Hot Sauce Willie’s and Bravado Spice Co., we have some fantastic pork tacos! Typically when you think of a pork taco its some kind of slow cooked, braised or some other variation of pulled pork. We wanted to think outside the box, that’s when we decided to come up with taco that uses pork chops versus a pork shoulder. 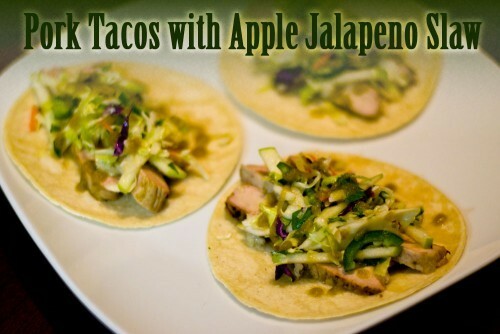 Partnered up with these pork chop tacos is an apple slaw that we came up with because we wanted something that could pair with Bravado Spice Co.’s Jalapeno Green Apple Hot Sauce. The result turned out to be a tasty taco perfect for grilling season! What’s your favorite taco filling to grill? Also, what hot sauces do you love? We’d love to hear from you! Leave a comment below or use the #GeekEats hashtag on Twitter! Combine all slaw ingredients and refrigerate until ready to serve. 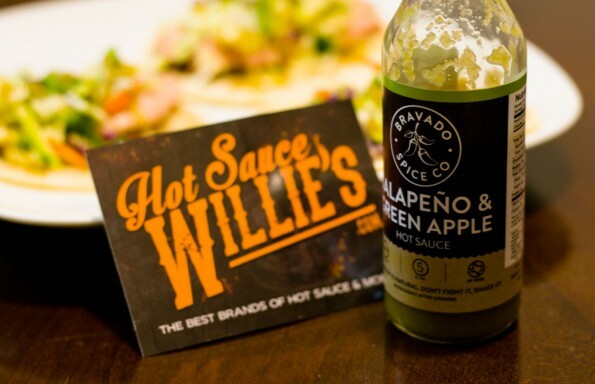 Brush pork chops liberally with Bravado Jalapeno Green Apple Hot Sauce. Grill until pork chops are cooked through (do not over cook or they will be dry) and let rest. Assemble tacos with pork on the bottom, topped with slaw and more hot sauce if desired. *The Geeks were given a web store credit to purchase items to facilitate this write-up; However, opinions are wholly our own. View our Disclosure Policy for more info. ← Previous Previous post: This Saturday: Granger Smith at the Great American BBQ & Beer Fest! Next → Next post: Easter Isn’t Just About Brunch Anymore! I make a slaw for chicken and pork tacos. I will have to try and add apple to it. This sounds delish! It’s delicious and if you use green apples it adds a little bit of extra tartness! Let us know how yours turn out! What a delicious flavour pairing, I love pork and apple. I like how you use apple and cider in the slaw to compliment the pork with the apple and Jalapeno sauce. Would love to try the sauce but I’ve not come across it here in the UK. I love that apple jalapeno slaw. I might make it soon. Love all the flavors in this taco!